The Tao of Healthier Living does not sell this product online, or make $$ in any way from it or its company. When rare products come along that deliver at least as much as promised, the Tao of Healthier Living aims to be supportive. 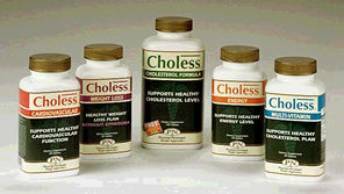 without all the fuss, simply by lowering your cholesterol! (source: the National Heart Foundation). This at-risk market for coronary heart disease is 6 times larger than Diabetes and more than twice as large as Arthritis. Choless was developed with the support of our more than 4,000 physician advisory board. Brought to you by the Godfather of Shortcuts because you're worth it.